Warriors need a tribe. Martial Arts Training Partners are tribes of Warriors. In the third episode of Today’s Warrior, we discuss the brotherhood that in forward in martial arts, jiu-jitsu and strength training / strongman training. The bond you create with those you train with is strong. They become your family, your teammates, and those who you trust and rely on. They are your brothers and sisters. Today’s Warrior is a YouTube Show and Podcast by Soul Fighters Academy focusing on the development of the Modern Warrior. We are martial artists, strength athletes, business owners and passionate about living the Warrior Lifestyle. 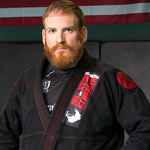 Matt Bryers: Soul Fighters Brazilian Jiu-Jitsu Black Belt, a Kobukai Ju-Jitsu Blackbelt and co-founder of TRITAC-Jitsu. He has been training Jiu-Jitsu, MMA, Unarmed Combatives, Full-Contact Karate (Kyokushin), Wrestling, and many other martial arts for over 25 years. Sean Jugler: Sean Jugler has been involved in Martial Arts for 29 years. He is a 6th degree Zen Budo-Ryu JuJitsu blackbelt, and has cross trained in Kyokushin Karate, Judo, Aikido, Modern Arnis, and Kung Fu. He is the owner and Chief Instructor at ZenDo JuJitsu in New Milford, CT, which he opened in 1990. Justin Czaplicki: Strength athlete and coach. Czaplicki has been training for and competing in the sport of Strongman since 2006. In that time he’s have competed in over 30 competitions all around the country. He has a total of over 20 years training and have been an athlete all his life. Peter Obrec: BJJ Athlete, Videographer and a man dedicated to living the Warrior Lifestyle.